This page reviews the evidence based medicine for treatment of back pain. Ireland-specific information includes links for back pain professional associations, details of the pain support group, and the Renaissance back pain disability project. The Cochrane collaboration aims to be a definitive source for evidence based medicine. It reviews the published scientific studies for a given problem such as back pain. It then draws conclusions as to whether there is evidence supporting the use of a particular treatment. In many cases, Cochrane concludes that there is no evidence for a treatment due to lack of well designed trials; this does not mean the treatment is no good, but rather that better research is needed. This lack of good research is a particular problem for treatments that are not drug-based, since pharmaceutical companies generally fund the clinical trials on their products. “We conclude that traction as a single treatment for LBP is probably not effective”. “The evidence from the 65 trials included in this review suggests that NSAIDs are effective for short-term symptomatic relief in patients with acute and chronic low-back pain without sciatica. However, effect sizes are small”. “There is insufficient evidence to support the use of injection therapy in subacute and chronic low-back pain. However, it cannot be ruled out that specific subgroups of patients may respond to a specific type of injection therapy”. “The selected trials provide limited evidence that radiofrequency denervation offers short-term relief for chronic neck pain of zygapophyseal joint origin and for chronic cervicobrachial pain; conflicting evidence on the short-term effect of radiofrequency lesioning on pain and disability in chronic low-back pain of zygapophyseal joint origin; and limited evidence that intradiscal radiofrequency thermocoagulation is not effective for chronic discogenic low-back pain”. “Massage might be beneficial for patients with subacute and chronic non-specific low-back pain, especially when combined with exercises and education. The evidence suggest that acupuncture massage is more effective than classic massage, but this need confirmation. More studies are needed to confirm these conclusions and to assess the impact of massage on return-to-work, and to measure longer term effects to determine cost-effectiveness of massage as an intervention for low-back pain”. “There is no clear evidence that antidepressants are more effective than placebo in the management of patients with chronic low-back pain. These findings do not imply that severely depressed patients with back pain should not be treated with antidepressants; furthermore, there is evidence for their use in other forms of chronic pain”. “There is strong evidence that insoles are not effective for the prevention of back pain. The current evidence on insoles as treatment for low-back pain does not allow any conclusions”. “For people with acute LBP, advice to rest in bed is less effective than advice to stay active. For patients with sciatica, there is little or no difference between advice to rest in bed and advice to stay active. There is little or no difference in the effect of bed rest compared to exercises or physiotherapy, or seven days of bed rest compared with two to three”. “Harpagophytum Procumbens, Salix Alba and Capsicum Frutescens seem to reduce pain more than placebo. Additional trials testing these herbal medicines against standard treatments are needed. The quality of reporting in these trials was generally poor”. “Although there are good results with three herbal medicines in short-term trials, with strong evidence for a particular form of one of the herbal medicines, there is no evidence yet that any of these substances are safe and useful for long term use”. “Based on our results, the benefits of opioids in clinical practice for the long-term management of chronic LBP remain questionable”. “There is moderate evidence in a small number of trials that heat wrap therapy provides a small short-term reduction in pain and disability in a population with a mix of acute and sub-acute low-back pain, and that the addition of exercise further reduces pain and improves function. The evidence for the application of cold treatment to low-back pain is even more limited, with only three poor quality studies located. No conclusions can be drawn about the use of cold for low-back pain”. “When used alone, prolotherapy is not an effective treatment for chronic low-back pain. When combined with spinal manipulation, exercise, and other co-interventions, prolotherapy may improve chronic low-back pain and disability”. “For patients with acute or subacute LBP, intensive patient education seems to be effective. For patients with chronic LBP, the effectiveness of individual education is still unclear”. “There is moderate evidence of positive effectiveness of multidisciplinary rehabilitation for subacute low back pain and that a workplace visit increases the effectiveness”. “There is moderate evidence suggesting that back schools, in an occupational setting, reduce pain, and improve function and return-to-work status, in the short and intermediate-term, compared to exercises, manipulation, myofascial therapy, advice, placebo or waiting list controls, for patients with chronic and recurrent LBP”. “The data do not allow firm conclusions about the effectiveness of acupuncture for acute low-back pain. For chronic low-back pain, acupuncture is more effective for pain relief and functional improvement than no treatment or sham treatment immediately after treatment and in the short-term only. Acupuncture is not more effective than other conventional and “alternative” treatments. The data suggest that acupuncture and dry-needling may be useful adjuncts to other therapies for chronic low-back pain”. “There is no evidence that spinal manipulative therapy is superior to other standard treatments for patients with acute or chronic low-back pain”. Note a specific review of Chiropractic interventions for low-back pain was proposed in 2005 but has not been published. “NRT appears to be a safe and effective intervention for the treatment of chronic non-specific LBP. The efficacy is less clear for sub-acute LBP. However, these results are limited to three trials conducted by a small number of specifically trained and experienced clinicians, in a limited geographical location”. n.b. Neuroreflexotherapy appears not to be practiced in Ireland. “Combined respondent-cognitive therapy and progressive relaxation therapy are more effective than waiting list control on short-term pain relief. However, it is unknown whether these results sustain in the long term. No significant differences could be detected between behavioural treatment and exercise therapy”. “Muscle relaxants are effective in the management of non-specific low back pain, but the adverse effects require that they be used with caution. Trials are needed that evaluate if muscle relaxants are more effective than analgesics or non-steroidal anti-inflammatory drugs”. “Exercise therapy appears to be slightly effective at decreasing pain and improving function in adults with chronic low-back pain, particularly in healthcare populations. In subacute low-back pain there is some evidence that a graded activity program improves absenteeism outcomes, though evidence for other types of exercise is unclear. In acute low-back pain, exercise therapy is as effective as either no treatment or other conservative treatments”. 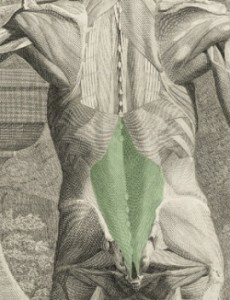 The Alexander Technique was grouped with exercise therapies, such as physiotherapy. Included in the review were the results from Ernst and Canter: “Four clinical trials met our inclusion/exclusion criteria. Only two of these trials were methodologically sound and clinically relevant. Their results are promising and imply that AT is effective in reducing the disability of patients suffering from Parkinson’s disease and in improving pain behaviour and disability in patients with back pain. CONCLUSION: The few controlled clinical trials of AT yield encouraging albeit not convincing evidence”. “There is moderate evidence that lumbar supports are not more effective than no intervention or training in preventing low-back pain, and conflicting evidence whether they are effective supplements to other preventive interventions. It remains unclear whether lumbar supports are more effective than no or other interventions for treating low-back pain”. “There are insufficient data to draw firm conclusions on the clinical effect of LLLT for low-back pain”. “All but one study had moderate to high potential for bias, so results must be viewed cautiously. Adding pregnancy-specific exercises, physiotherapy or acupuncture to usual prenatal care appears to relieve back or pelvic pain more than usual prenatal care alone, although the effects are small. We do not know if they actually prevent pain from starting in the first place. Water gymnastics appear to help women stay at work. Acupuncture shows better results compared to physiotherapy”. “There is limited and inconsistent evidence to support the use of TENS as an isolated intervention in the management of chronic LBP”. Comprehensive work-oriented back pain management programs can reduce sick days for workers with chronic back pain. “Physical conditioning programs that include a cognitive-behavioural approach plus intensive physical training (specific to the job or not) that includes aerobic capacity, muscle strength and endurance, and coordination; are in some way work-related; and are given and supervised by a physiotherapist or a multidisciplinary team, seem to be effective in reducing the number of sick days for some workers with chronic back pain, when compared to usual care. However, there is no evidence of their efficacy for acute back pain”. “There is limited to moderate evidence that MMH advice and training with or without assistive devices do not prevent back pain, back pain-related disability or reduce sick leave when compared to no intervention or alternative interventions. There is no evidence available from RCTs for the effectiveness of MMH advice and training or MMH assistive devices for treating back pain”. “There is no evidence that patients need to have their activities restricted after first time lumbar disc surgery. There is strong evidence for intensive exercise programs (at least if started about 4-6 weeks post-operative) on short term for functional status and faster return to work and there is no evidence they increase the re-operation rate. It is unclear what the exact content of post-surgery rehabilitation should be. Moreover, there are no studies that investigated whether active rehabilitation programs should start immediately post-surgery or possibly four to six weeks later”. “The low quality of the trials prohibits extensive conclusions from this review”. “Limited evidence is now available to support some aspects of surgical practice”. “Surgical discectomy for carefully selected patients with sciatica due to lumbar disc prolapse provides faster relief from the acute attack than conservative management, although any positive or negative effects on the lifetime natural history of the underlying disc disease are still unclear. Microdiscectomy gives broadly comparable results to open discectomy. The evidence on other minimally invasive techniques remains unclear (with the exception of chemonucleolysis using chymopapain, which is no longer widely available)”. “Although there is limited evidence in favour of SCS for Failed Back Surgery Syndrome and Complex Regional Pain Syndrome Type I, more trials are needed to confirm whether SCS is an effective treatment for certain types of chronic pain”. Go to Alexander Technique Northside back pain page. Researchers from Southampton and Bristol universities recently published the results of a seemingly well designed, randomised controlled trial of The Alexander Technique for chronic back pain. The report was widely published in the Irish media, for example by The Irish Times and The Irish Independent. Their research found that “Number of days with back pain in the past four weeks was lower after lessons (compared with control median 21 days: 24 lessons –18, six lessons –10, massage –7) and quality of life improved significantly. No significant harms were reported”. That is, the average days of pain per month went from 21 down to 3, in those who had 24 lessons of Alexander Technique. This research has not yet been reviewed by The Cochrane Collaboration. The Irish Chronic Pain Association holds quarterly support meetings, and runs pain self-management workshops. The Renaissance Project is aimed at preventing chronic disability from low back pain. It is a project of the Department of Social and Family Affairs.